Eye of Newt and Skin of Toad: Toxic Tales from Oregon Amphibians and Reptiles presented by Tom Titus, University of Oregon research associate, herpetologist and author will be the focus of the October 2018 Science Pub. Do poisonous amphibians and reptiles spook you? Mr. Titus explores the fascinating facts on poisonous amphibians and reptiles of the Willamette Valley and other parts of Oregon. 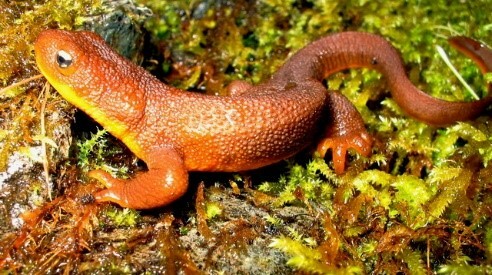 For over two decades Tom has taught the popular University of Oregon course “Amphibians and Reptiles of Oregon.” After all these years he still thinks salamanders are the coolest animals walking the planet.